Birding Is Fun! : Hey! Where's Everybody Going? 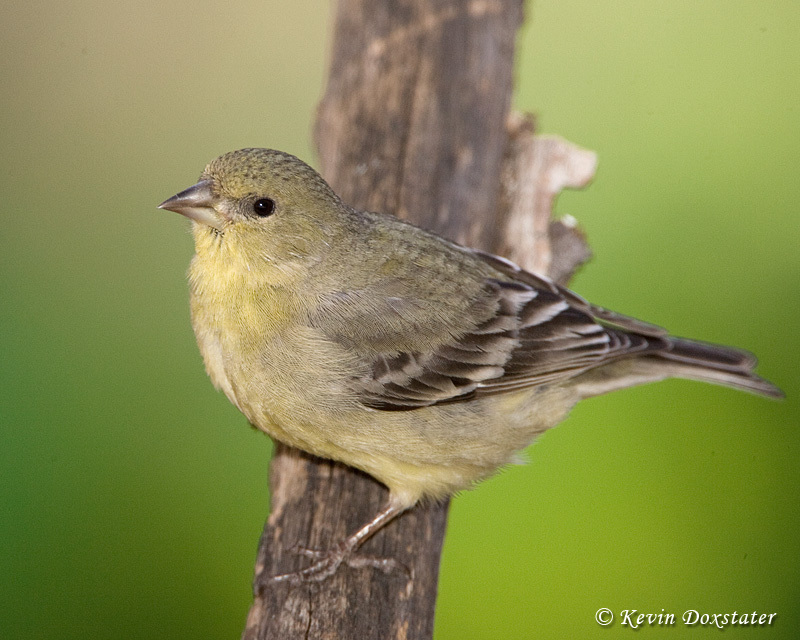 Though it has been a month since I was writing about Plumbeous Vireo fledglings, it seems like only yesterday that I was writing about all the spring arrivals. I guess that's one of the downsides of living at 8000 feet - spring comes late and fall comes early as far as the birds are concerned. They're not all gone by any means and some interesting stuff shows up now and again, plus I know places to look a couple of thousand feet lower, but it is something of a clue that the weather will soon be a-changin'. 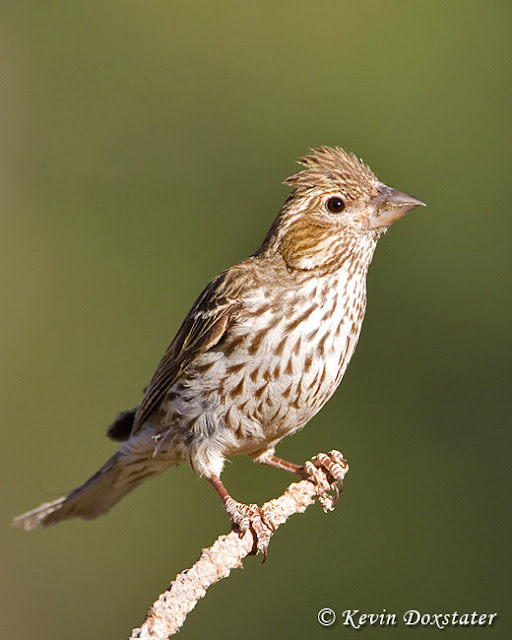 The Cassin's Finches are still regular visitors to my bird bath and I find it interesting that they are usually among the first to arrive in spring, and the last to leave in fall. Say's Phoebes are another that seem to follow that same pattern. On the flip side, Western Tanagers are just about the last to show up in the spring and among the first to leave. I last saw a male nearly 3 weeks ago and it has been about 10 days since the last female came around. A hatch-year Yellow-rumped Warbler was in the neighborhood about the same time, but have not seen any warblers since then. On the positive side, of course, is the chance to see birds that are passing through. For a couple of days last week, for example, there were Evening Grosbeaks hanging around. It is interesting because some of the data says they breed here, but it's always later in the season when they come around. 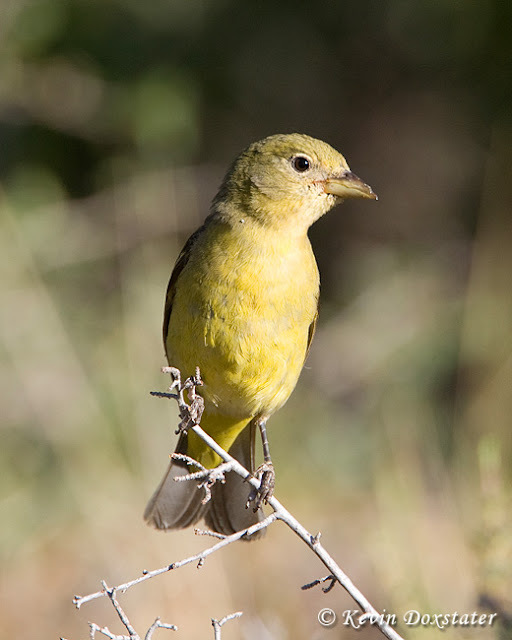 While the grosbeaks were only here for a few days, the Lesser Goldfinches have been coming around for a couple of weeks. I hope they stay around long enough so that I can finally get a good photo of the male . . . 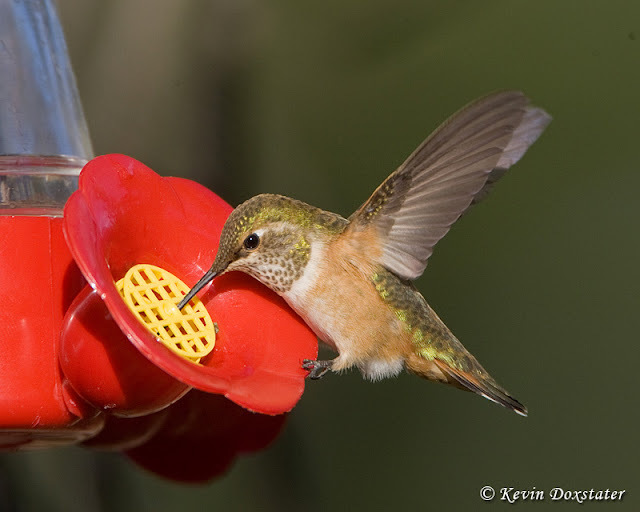 The hummingbird rotation is continuing and, though I thought they might be running a little early this year, things actually seem to be about the same as other years when I look at previous data. 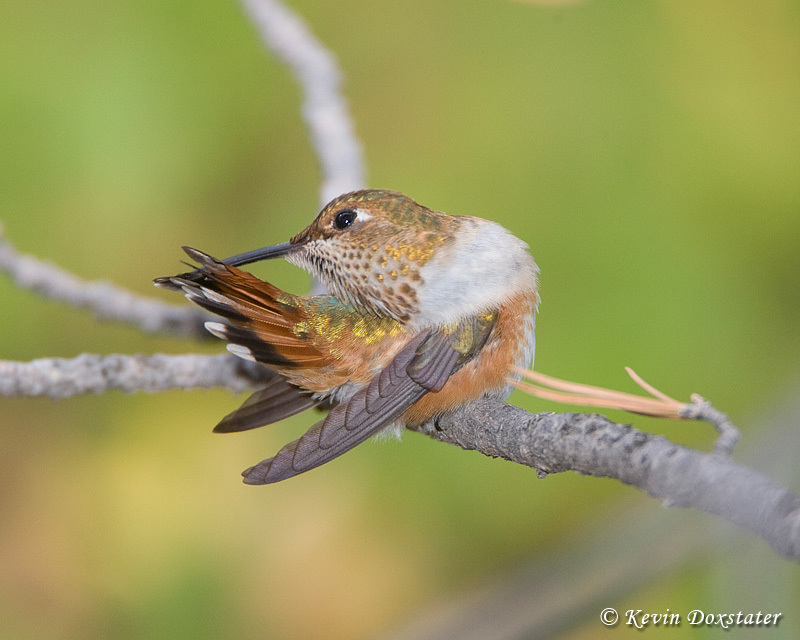 The male Rufous Hummingbirds have pretty much moved on, I last saw one a couple of days ago. Of the two local breeders, the Black-chinned were the first to leave, and I saw a male Broad-tailed as recently as last week - fighting over the feeder with a male Rufous. Now it seems to be just the female and juvenile Rufous that are here. Still a lot of local entertainment. As I was typing the last paragraph I was being serenaded (?) by the raspy voice of a Clark's Nutcracker and listening to the sound of the aforementioned hummingbirds squabbling over the feeder. Plus, once or twice a week a Golden Eagle comes around the area hoping to grab one of the prairie dogs that live close by. And I can think positive thoughts about the birds I 'm sending to those who live south of me . . . .
Good birding, have fun while you are at it, and see you next month! Wonderful post filled with stunning close-up bird photographs! Such beautiful captures, the hummingbird preening sure melts your heart! All beautiful! Gorgeous photos! 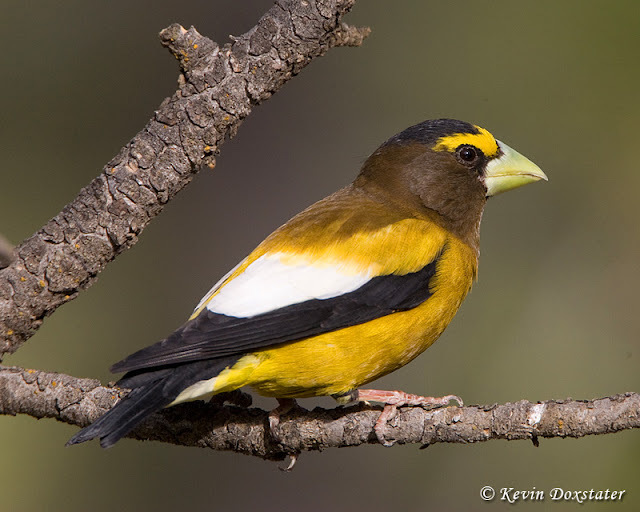 The Evening Grosbeak is stunning!! Thanks to each of you for your nice comments! It's been a good day with a Green-tailed Towhee visiting for a little while. Then, just a few minutes ago, listening to a singing Plumbeous Vireo as I was watching a flock of Common Nighthawks chasing down flying insects. And, of course, the fighting over the hummingbird feeders continues unabated . . . These are wonderful photos of some magnificent birds Kevin. Always a pleasure to see your work.